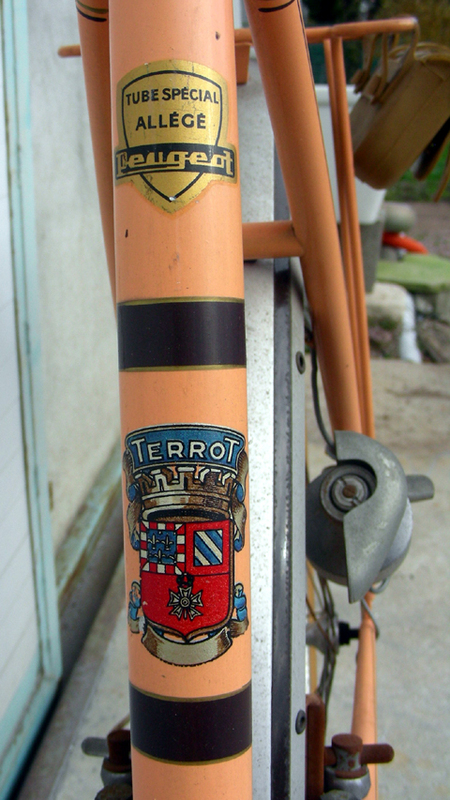 I bought this Terrot from my friend Jean-Do, who is a well-known vehicle artist and pin-striper in France. He’d owned it for some time, but decided to prune his collection to focus more on microcars. I bought his old Bernardet C50 scooter too. 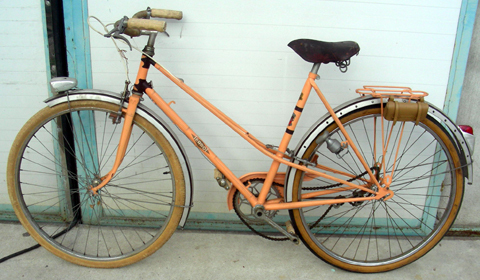 This velo is in fabulous original condition. You could describe it as a time-warp. 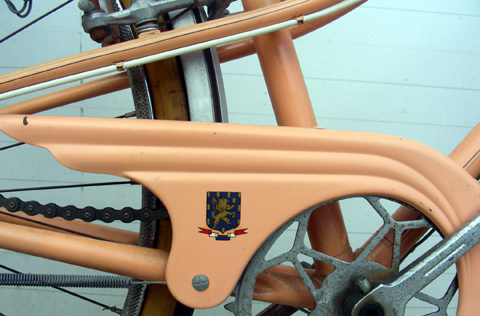 One of my collecting themes is ‘companion vehicles’ of the same marque. 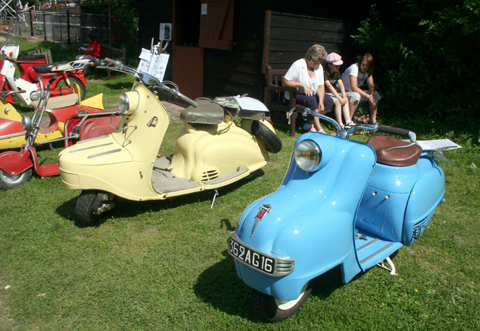 Below (the blue one in the foreground) is my 1952 Terrot VMS Scooter, which is actually believed to be the earliest known surviving Terrot scooter. 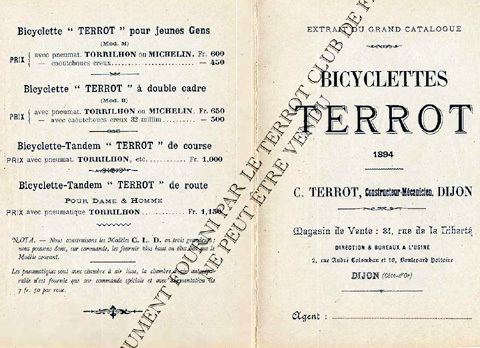 Like many other future bicycle/motorcycle companies, Charles Terrot already had a manufacturing company. His factory made knitting machines. 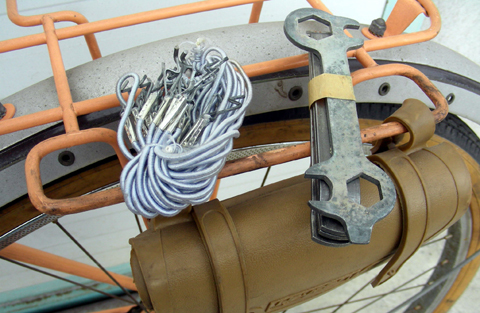 With advances in bicycle design in the late 1880s, he added his own innovations, filing, in 1890, a patent bracket with two speeds. 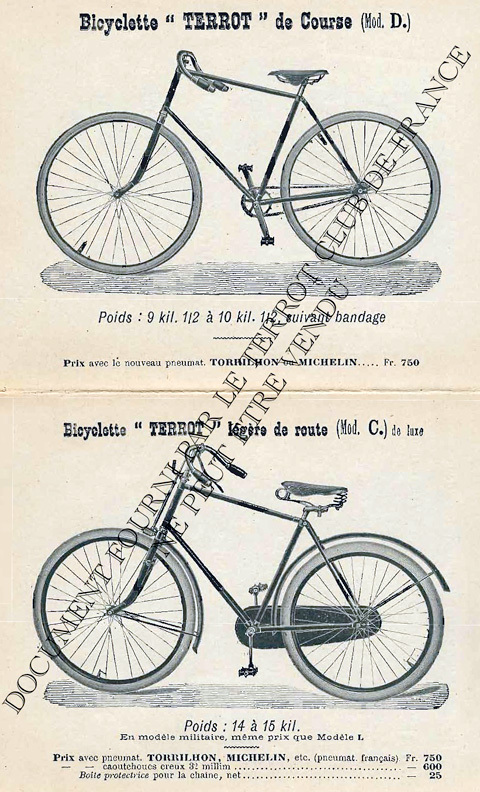 His first catalogue was published in 1893 and he introduced a chainless cycle with gears. 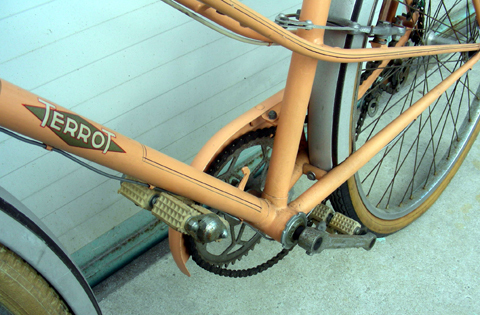 In 1910 the first derailleur was designed and added to Terrot bicycles. 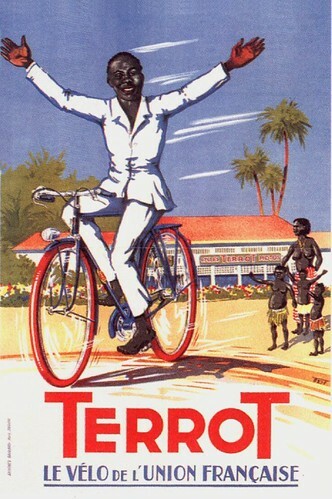 Terrot advertising was prolific, from the early years until the end, in the 1950s. The Terrot VMS scooter (from 1955 renamed the Scooterrot) was the most-advertised scooter of the many French makes available. 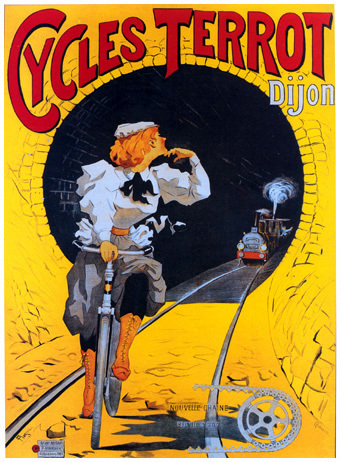 Many old Terrot adverts have been reproduced as posters, to provide a wonderful glimpse into transport history of the past 100 years. 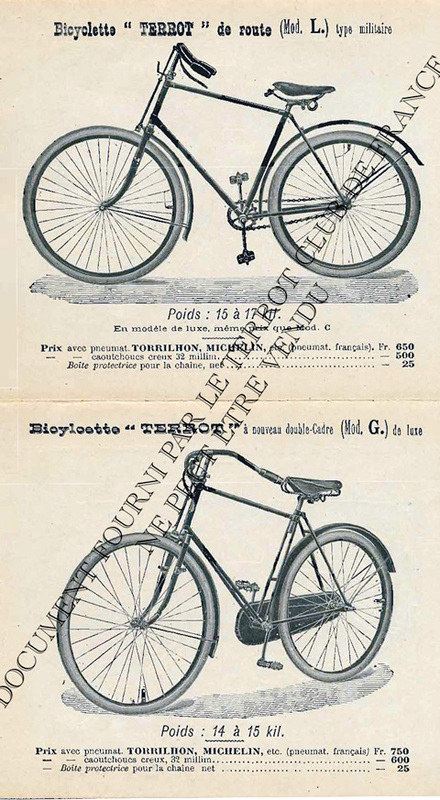 Terrot absorbed the company Magnat Debon in the 1920s and was itself taken over by Peugeot in the late fifties. 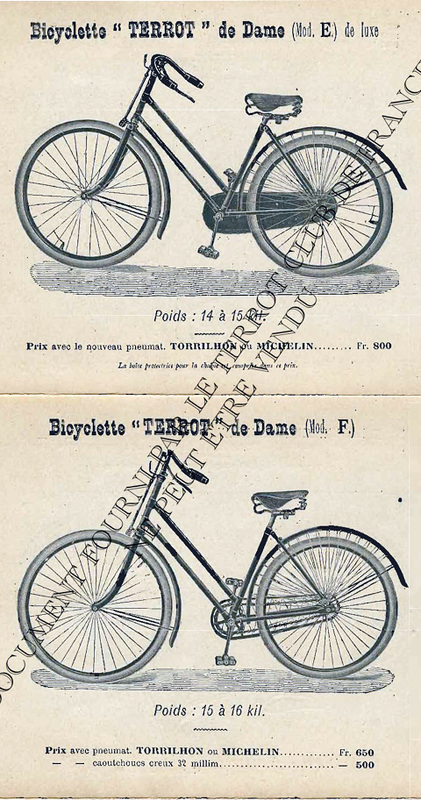 Peugeot retained the Terrot badges on bicycles for several years after the takeover, as you can see in the pictures of the Ladies Model featured above.